Located in a cul-de-sac in a quiet private elevated location this property has lifestyle engraved in its heritage. The property of seven acres plus has a mystical feel on entering with the shadow of Mount Pinbarren encroaching in the distance, with an abundance of wildlife attracted to the property by the current owners who have made this property their very own sanctuary. As the sun sets there are birds sharing their enjoyment of their treasured life on this property as the Kangaroos nibble on the grass with others lying in the shade. 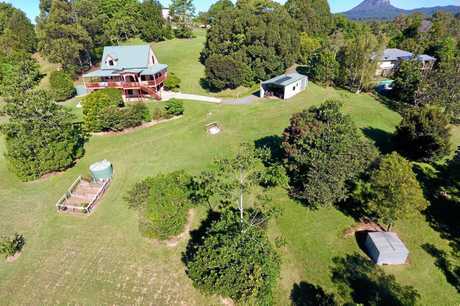 The property is segmented by a seasonal creek, around the homestead is neatly mowed and planted with rear stock paddock of a couple of acres or would suit Cabins subject to council approval. The property is environmentally friendly and cost-effective living with domestic and garden water tanks, septic system, solar hot water and 1.5kw solar panels located on the 12m by 6m shed. The shed has a two-bay carport and a secured workshop at rear plus wash basin and toilet. 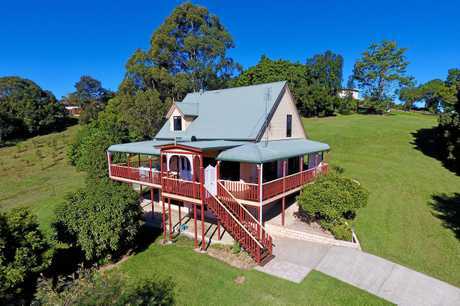 The property is located 28 minutes from Noosa Heads, seven minutes to Pomona, 10 minutes to the Bruce Highway and under 2 hours to Brisbane. 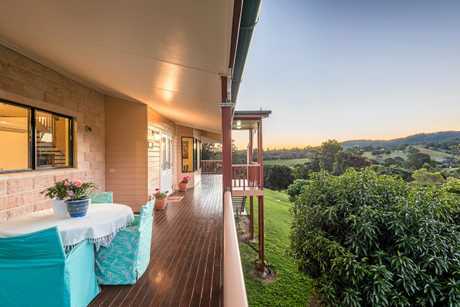 The north facing home of 14 years has been meticulously maintained and is a double story "A Frame Brisbane Sandstone Block" construction with colour bond roof, covered verandas surrounding three sides with second entry at ground level facing the road. 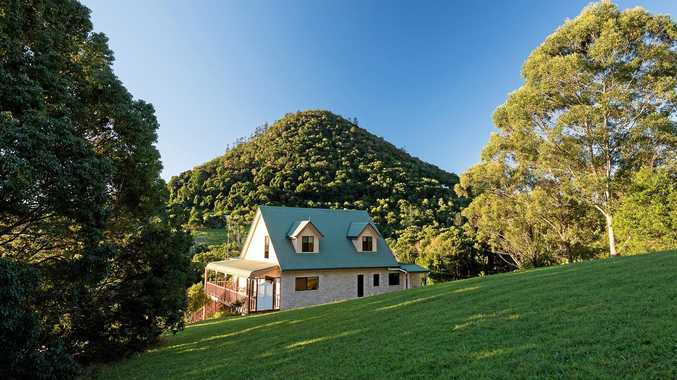 The home has been positioned on the land to maximize the surrounding views of Mount Pinbarren including the National Park with spectacular sunrises and sunsets. The lower level has open plan living areas, kitchen with island bench and walk in pantry, master bedroom includes built in robe with access to veranda and main bathroom, separate toilet and laundry. The upper level accessed by polished timber stairs includes two bedrooms and a bathroom. The home has plenty of light and great views from all sides. There is plenty of storage under the home. This property would suit a buyer that is looking to escape the stress of modern society who wants to live in a rural environment, but still have modern conveniences. 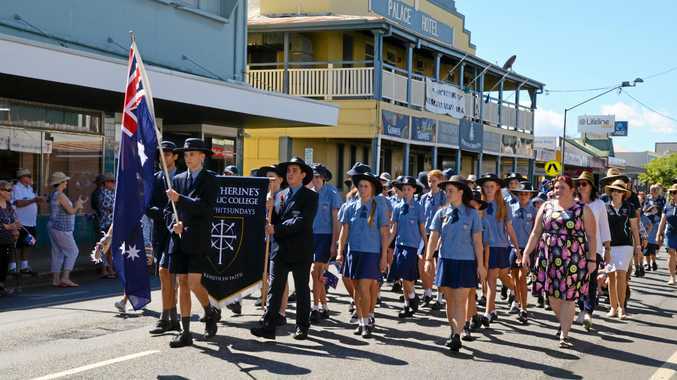 The current owners who built the home and established the property want to move on and join The Grey Nomads.